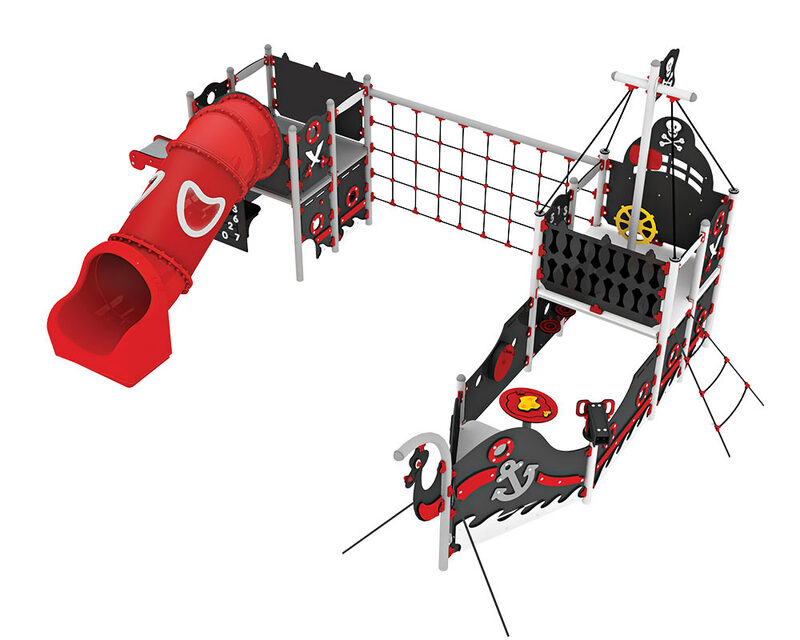 Port Royal is Pirates world’s biggest play structure with plenty of play activities. There is room for more than 25 children on board this big pirate ship, and with its 17 activities, nobody will manage to get bored! Port Royal is very popular with bigger institutions and housing associations. With its many different activities, this play structure appeals to a broad agegroup.